Don Keil, trustee for the Huber Machinery Museum in Marion. Wood revolving rake displayed at the Huber Machinery Museum in Marion. 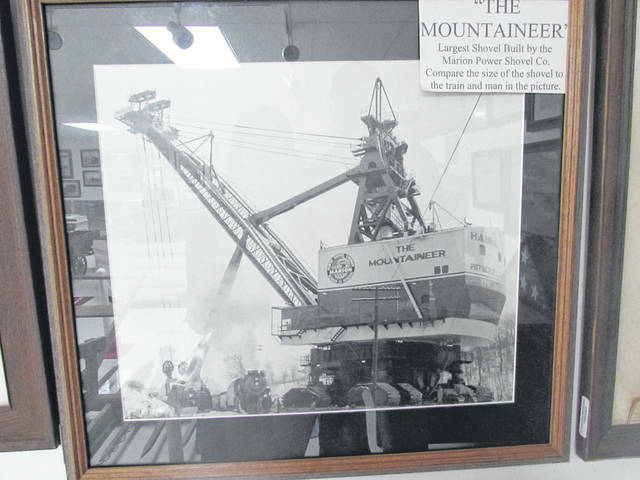 MARION — Edward Huber provided thousands of jobs to the people of Marion from 1895 to the 1970s. He revolutionized farming equipment and agriculture in the community, and his legacy is recognized today at the Huber Machinery Museum. “[Huber] put a lot of people to work, made a lot of jobs. He had thousands of people working for him at his companies. Mr. Huber was concerned about his workers and wanted all of them to get an education. Some of them couldn’t read or write and he wanted them to go to night school,” said Don Keil, a trustee for the Huber Machinery Museum. He added that Huber started the Marion library. Keil went to work for the Huber business right after high school in 1948. “Out of high school I just wanted a job. The war was almost over and I wasn’t old enough to go to war,” said Keil. He started in material handling at the Huber business and then worked his way up to the purchasing department. Keil is now retired, but when he farmed he grew corn, soybeans and wheat, and also raised cattle. Keil has been involved with the Huber museum, which opened in 1986, for 25 years. Edward Huber and his father built farm wagons. When Edward was 15, his father apprenticed him to a local blacksmith. There he learned to fabricate metal parts for their wagons. At age 26 in 1863, Edward received his first patent for the invention of a wooden revolving rake, which allowed one person to do a job that previously took six. The rake was made out of ash and hickory. In 1865, he married and moved to Marion, OH, where both types of wood were abundant. 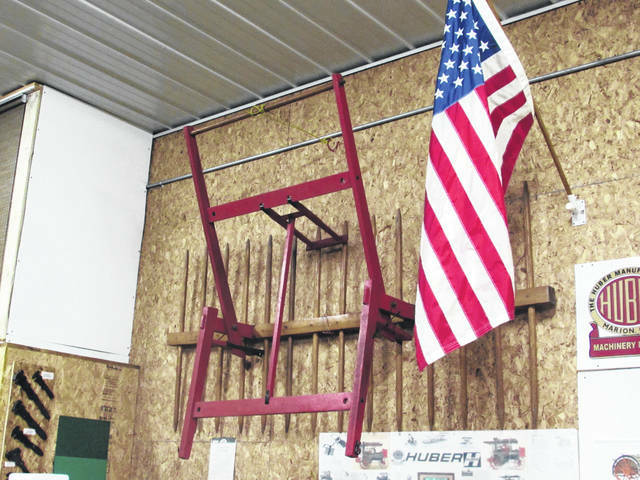 Some of the Huber rakes are on display at the Huber Machinery Museum. The revolving rake was just the beginning for Edward, as he revolutionized the farming business in Marion. In addition to developing his rake-manufacturing business, he helped develop more than 10 companies in the Marion area, creating many jobs. “Huber was so successful with the hay rake that he started making tractors,” said Keil. He continued to manufacture his rakes and patent more and more farming equipment and machinery, such as the Orchard Tractor Model OB (1938) and Light Four Cross Motor Gas Tractors (1916). Edward expanded his business, The Huber Manufacturing Company, and began to build steam tractors and grain separators/threshers. “Steam came in first, then gasoline, and then diesel,” said Keil. Huber made machinery using all three. “Huber built tractors right up until 1941. When the war came along they quit building farm machinery because they built roads.” Keil said that the Huber road equipment was sent all over the world. 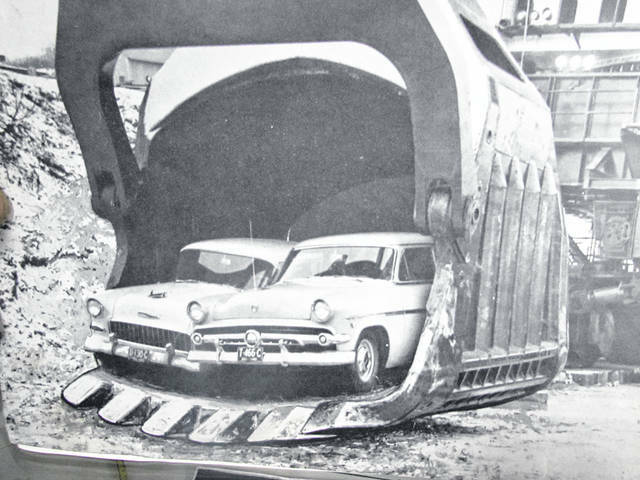 The Huber business evolved with the expanding road industry and developed machinery to build roads, such as grading scrapers. Edward also helped found the Marion Steam Engine Shovel Company and the Marion Power Shovel Company. 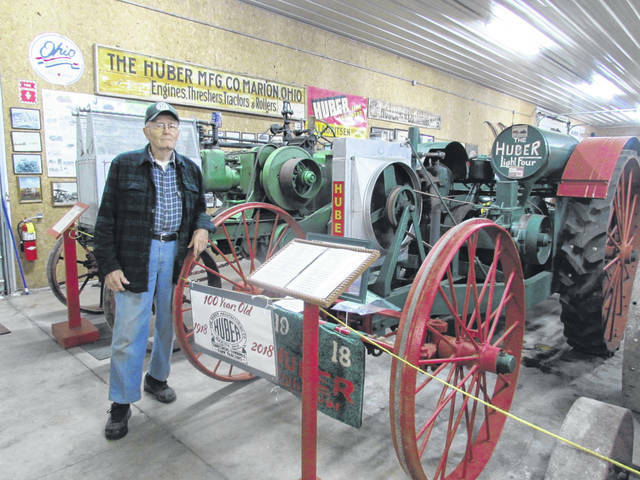 Huber Machinery Museum Board Member Karen Zooker moved to Marion with her family in the 1950s. The Huber business bought her father’s blueprints from the company and brought it to Marion, where her father became the special projects manager at Huber. Zooker became involved with the museum about a year ago. She had never been to the museum before last summer, when she walked in and told her story to Keil. “And [Don] took me over to the wall and there on the wall is a little plaque with my dad’s name on it,” said Zooker. There was even a picture of her dad in the museum. Zooker’s father passed away when she was 27. “I feel close to my dad here,” Zooker said. In 1969, the Huber Company became a division of ATO, Inc., and the operation moved to Charleston, NC. The Huber doors officially closed in 1984. Edward Huber died in 1904, but his legacy continues. The Edward Huber Memorial Association, a 501(c)(3) charitable organization, operates the museum. Admission to the museum is free. It operates on donations. The museum is located at 220 East Fairground Street, Marion, OH and is open Saturdays 1 p.m. – 4 p.m., except Dec., Jan., and Feb. The Huber Machinery Museum is open during the Marion County Fair and for the annual Marion tractor show. In August, the museum carried one of its tractors on a trailer during the annual Marion Popcorn Festival Parade. Twenty-one members of the Edward Huber Memorial Association met Sept. 16 to celebrate acquiring 25 additional items for the museum and to elect board members. The machinery in the museum is 100 years old. “Maybe 50 years from now it’ll be 150 years old,” said Keil. Zooker really likes the stories. “There are so many industries in our area that helped build this town and now they’re gone. So really all we can do is have museums for them,” said Zooker. 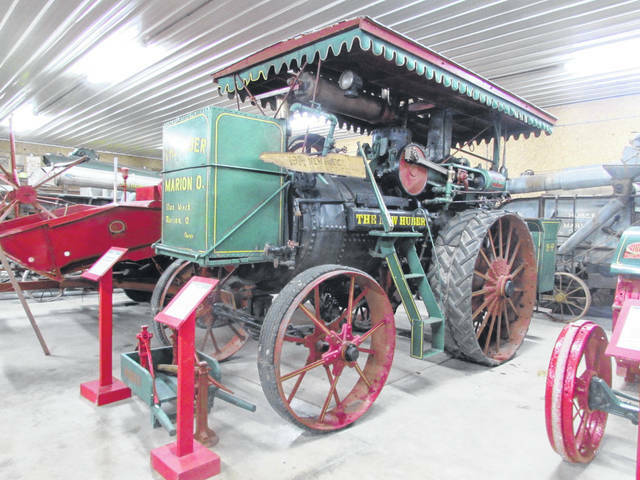 https://www.rurallifetoday.com/wp-content/uploads/sites/56/2018/11/web1_HuberMuseum.jpgDon Keil, trustee for the Huber Machinery Museum in Marion. https://www.rurallifetoday.com/wp-content/uploads/sites/56/2018/11/web1_Rake.jpgWood revolving rake displayed at the Huber Machinery Museum in Marion.